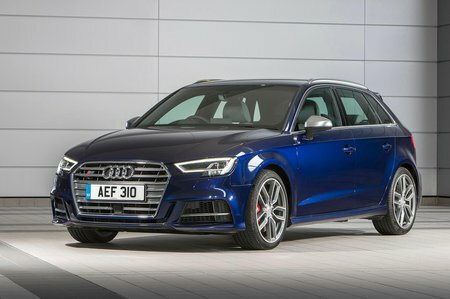 Audi S3 Review 2019 | What Car? The Audi S3 is a small, premium performance car that goes up against the likes of the Volkswagen Golf R, BMW M135i and Ford Focus RS. 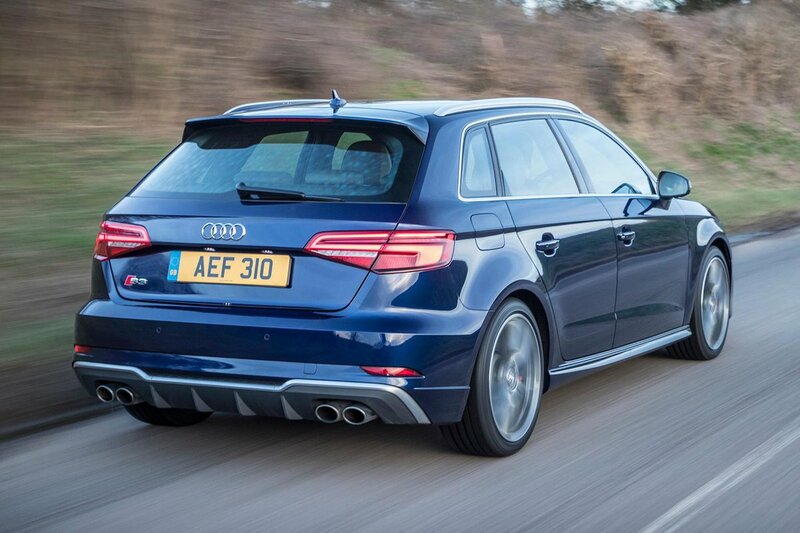 It’s available as a three or five-door hatch, four-door saloon or even as a convertible. No matter which body style you go for, you get the same 306bhp four-cylinder turbocharged petrol engine, and that drives all four wheels. A six-speed manual gearbox is standard, but there is also the option of a six-speed dual-clutch automatic gearbox. As you would expect from placing such a powerful engine in a relatively small car, performance is explosive; the auto hatch is capable of 0-62mph in less than five seconds, with the manual not much slower. Top speed is limited to 155mph should you have access to a runway or an unrestricted autobahn. Thanks to the quattro four-wheel drive system, the S3 is able to deploy all of its power, come rain or shine. The handling is precise and very secure but it isn’t quite as exciting as the Golf R, and certainly not as much fun as the Ford Focus RS. The Audi fights back with an interior that feels a cut above its rivals thanks to high quality materials and excellent design. The five-door Sportback and saloon models also offer enough room to get a couple of six-foot adults in the back without too much issue.